CHAMPAIGN, Ill. — Common cuckoos and oriental cuckoos in eastern Russia appear to be expanding their breeding range into western Alaska, where songbirds are naive to the cuckoos' wily ways, researchers report. A new study suggests the North American birds could suffer significant losses if cuckoos become established in Alaska. 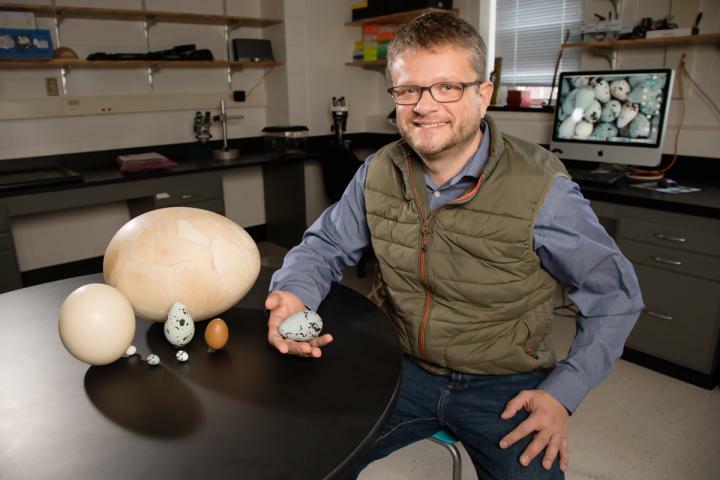 Like brown-headed cowbirds, cuckoos are "brood parasites," laying their eggs in the nests of other species, said University of Illinois animal biology professor Mark Hauber, who led the new research with Vladimir Dinets of the University of Tennessee, Knoxville. Cuckoos time their egg-laying so that their chicks will hatch first. The chicks then kick the other eggs out of the nest, "thereby eliminating the entire reproductive success of their hosts," Hauber said. "Brood parasitism is a rare strategy among birds. Only about 1 percent of birds engage in it," he said. "Obligate brood parasites do it always. They never build a nest, they never incubate the eggs, they never feed their chicks. Instead, they sneak their eggs into somebody else's nest, forcing the foster parent to take care of the young." "We don't have evidence of them breeding in Alaska, but it's likely already occurring," Hauber said. "We wanted to know whether the potential Alaskan hosts are ready for this cuckoo invasion." In the new study, researchers tested whether more than a dozen Alaskan bird species had evolved defenses to counter the cuckoos' parasitic ways. Such defenses are common among bird species that frequently encounter brood parasites elsewhere. "There are strategies such as hiding your nest, nesting at a time when the brood parasite is not around or attacking the brood parasite when it is in proximity to your nest," Hauber said. "If that doesn't work, you can abandon the nest with a cuckoo egg in it." For the new study, the researchers put fake eggs in the nests of more than two dozen bird species nesting in Siberia and Alaska – outside the normal breeding range of the cuckoos. The eggs were either pale blue, like those of the redstart host of common cuckoos, or light gray-blue with brown spots, like the eggs of pipits that often are targets of common cuckoos and oriental cuckoos. The researchers tested each nest at least twice, once with each of the eggs, in random order. After losses from predation, the team collected data from 62 nests of 27 bird species. "What we found was very straightforward," Hauber said. "Out of 22 experiments that we ran in Siberia, 14 rejected the fake cuckoo eggs. But out of the 96 experiments that we ran in Alaska, only one pair rejected one of the fake cuckoo eggs." "But the North American hosts have no defenses against invading cuckoos. They will be parasitized," he said. The paper "Striking difference in response to expanding brood parasites by birds in western and eastern Beringia" is available online and from the U. of I. News Bureau.